We have a very special something for you today! 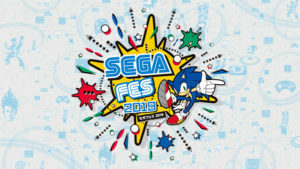 Thanks to our good friend Dr. Scottnik from Nintendo Lounge, you can now get an exclusive look at what went down on the show floor at SEGA Fes 2019. The event ran from March 30th to the 31st 2019 in Tokyo and was quite a historical moment for every SEGA division worldwide as every game announcement at the event was revealed to be releasing worldwide and not just in Japan. Take a look at Dr. Scottnik’s video below to see exactly what was available on the show floor and soak in a bit of the SEGA love that includes a legendary performance from Segata Sanshiro himself!